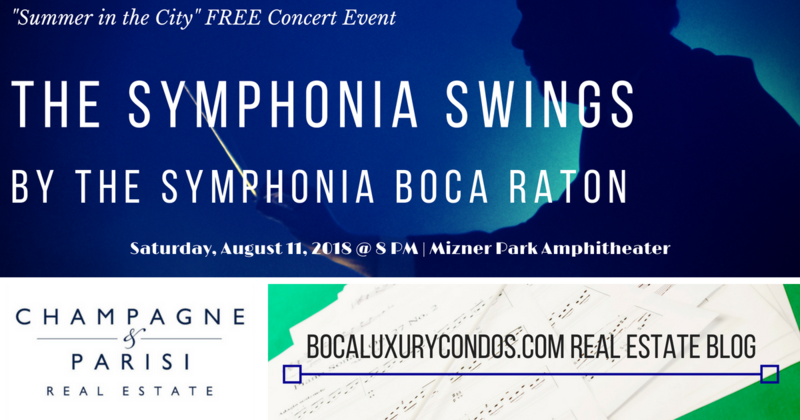 What better way to spend a Saturday night & wind down from Summer than to sit back, relax, and enjoy the music as The Symphonia Boca Raton closes out the city of Boca Raton's "Summer in the City" concert series!? We at Champagne & Parisi Real Estate look forward to seeing you there! Please visit the Mizner Park Amphitheater website for additional venue info as well as answers to Frequently Asked Questions. "Summer in the City" sponsors include Downtown Boca Raton & the City of Boca Raton.